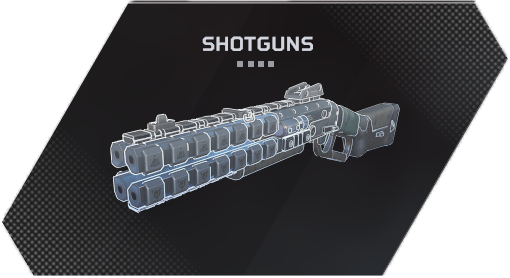 Welcome to our Apex Legends Store Guide, here we will explain how to get and use every in-game currency Crafting Metals, Legend Tokens, and Apex Coins. 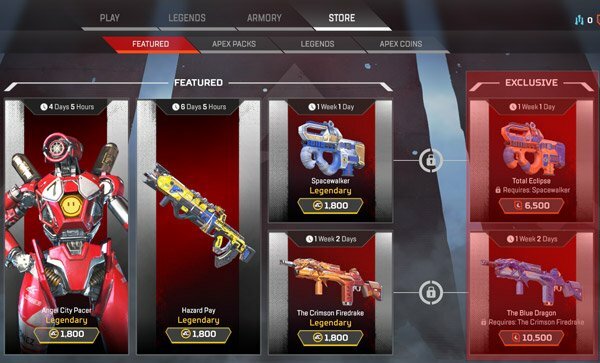 We will also walk through the Apex Legends Stores Apex Packs chance to give your a Common, Rare, Epic and Legendary Cosmetic. 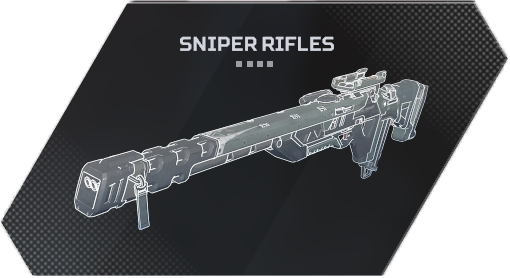 Crafting Metals Used for: Crafting cosmetics for Legends (Characters) and Weapons. How To Get: You receive a small amount from opening Apex Packs. Legend Tokens Used for: Unlocking Legends and Exclusive Store Cosmetics. How To Get: You receive a small amount from every Level Up on your Account. Apex Coins Used for: You can purchase anything in the game with this real money currency. How To Get: Purchasable for with real money currency. 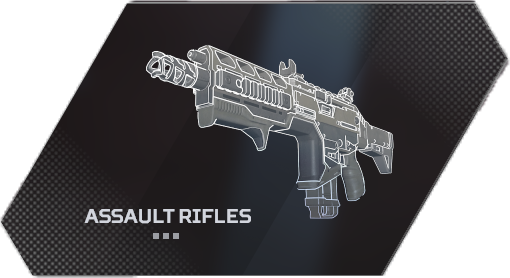 Apex Packs is how players will obtain the majority of their Weapon Skins, Legend Skins, Banners Frames, Banner Poses, Finishing Moves, Kill Quips and Intro Quips in the game. Each pack has only 3 of items and will have a random rarity. 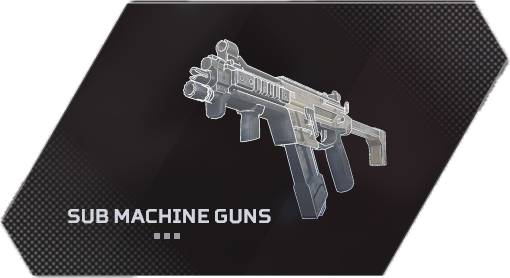 You will also get crafting metals in these packs which can be used to craft various cosmetics. Apex Packs Chance Rate for Rare, Epic, and Legendary Items. There are some additional features to these apex packs that we have listed below to keep in mind when purchasing large amounts. Guaranteed 1x Legendary every 30 Packs. Guaranteed 1x Rare or better Item Every pack. Apex Legends Currency can be earned from playing the game and leveling up or you can purchase real-money currency called Apex Coins. For those who don’t want to spend real money on this free to play game, you will find the section below useful as we will detail how you can earn currencies like Legend Tokens and Crafting Metals from playing the game. 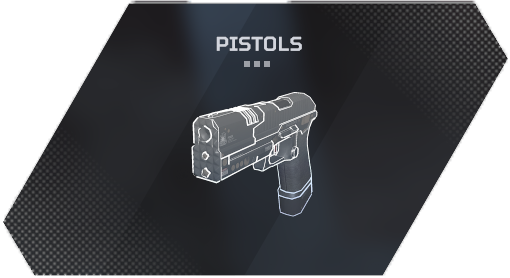 Legend Tokens in Apex Legends are earned after every level up, these Tokens can be used to purchase Characters (Legends) and other Cosmetics. The most important of these cosmetics they can be used to purchase are store exclusives located in the Apex Store > Featured > Exclusive section. These are only available for a limited time displayed above the item in the store, so if you see something you like you might want to purchase it while you can. 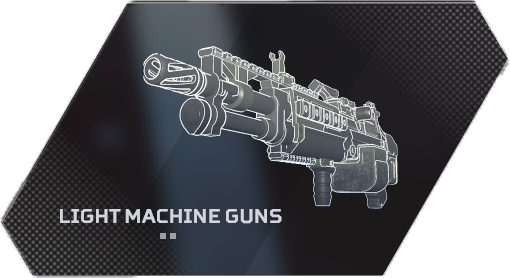 Crafting Metals in Apex Legends are obtain from Apex Packs when you gain enough you can use this currency to Craft Specific Cosmetics like Weapons Skins and Legend Skins. 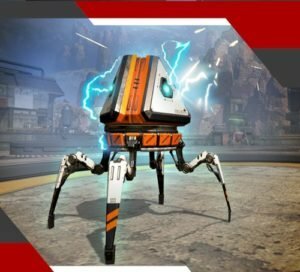 Apex Coins in Apex Legends is a purchasable real money currency you can use to buy Legends, Skins, and Apex Packs can give you Crafting Metals and other Cosmetics. You can purchase in the various amounts listed below and equal out to every 100 Apex Coins = 1$. The bonus coins you recive for purchasing a large amount are highlighted in Green, and then combined show the total.